Designed by Luc Donkerwolke (of Lamborghini fame) the sharp Ibiza boasts some of the most stylish supermini lines available both inside and out. Available with three or five doors as well as a practical estate model, it offers something for everyone. The SEAT Ibiza was first launched in back in 1984, and ever since it has consistently featured at the top of the firm’s sales charts. With over 4.5 million examples having found homes since, the latest model, unveiled in 2008 (and facelifted for 2012) is the best yet. Designed by Luc Donkerwolke (of Lamborghini fame) the sharp Ibiza boasts some of the most stylish supermini lines available both inside and out. Available with three or five doors as well as a practical estate model, it offers something for everyone. When it was launched in 2008 the Ibiza was available as a three- or five-door hatchback only, each offering the same amount of interior space as the other. However, in 2010 the practical Sport Tourer (Estate) arrived and with it a 461-litre load space. If practicality is a priority then it’s worth a look. The engine range has always been quite broad, the early models offering 1.2- and 1.4-litre naturally aspirated petrol options, as well as a 1.4-litreTDI. In 2009 the 1.4-litre Twincharged (Turbo and Supercharged) engine replaced the 1.4 and in 2010 the turbocharged 1.2-litre TSI was introduced - the latter offering a great blend of economy and performance. Those more concerned with frugality though had a pick of diesels, the original 1.4TDI being supplemented by the 1.2TDI, 1.6 TDI and punchy 2.0-litre TDI. Most were available with manual (either five- or six-speed) gearboxes or the excellent DSG twin-clutch automatic gearbox either with six or seven ratios. Trim wise the range kicked off with Reference, Special Edition, Style, Sport and FR though the hot Cupra model is an especially rare sight on the used market. The ST model may be practical but it only arrived in showrooms in 2010 - consequentially it is a rare sight on the used market. Still, unless you regularly plan to make use of its huge boot, the three- or five-door hatchback models will likely prove equally as useful. 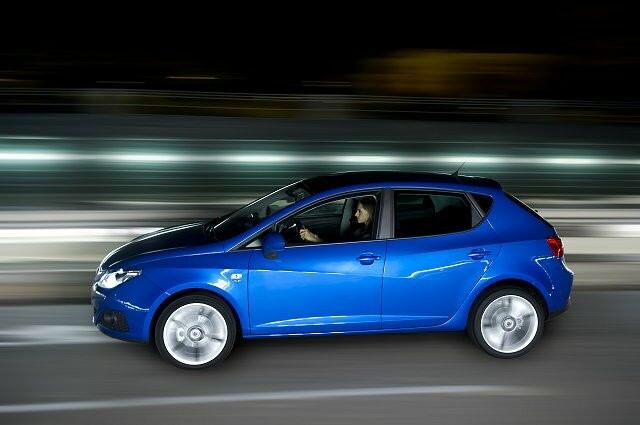 If you can find one in your budget the 1.2-litre TSI is undoubtedly the pick of the bunch as it’s both frugal and fun. If you want some toys then it's best to aim for Style trim or above as well. As the Ibiza was first to use the platform that underpins the current Volkswagen Polo you could look towards that car instead - but you’ll get a newer and better equipped SEAT for the same money. The Ibiza is stylish, good to drive and benefits from a youthful following not often enjoyed by other models in the supermini sector.